In this post I have attached a presentation by the CEO of Fiat Chrysler Automobile (FCA) Sergio Marchionne. Mr. Marchionne is a unique personality in the CEO world because he’s not afraid to speak his mind and tells it like it is. Basically there’s no double speak with him (he would be a terrible politician but great for investors). GM recently rebuff his merger push. To summarize the presentation, Marchionne states automakers are wasting billions in product development. Too much cost duplication, R&D on the rise, regulations expenses up…etc. The long version: He argues that the auto business has not generated its return on capital over its last cycle and that without significant structural changes, it will continue to under perform. He then diagnoses the reason for the under performance as over investment in R&D and capital costs, with companies duplicating each other’s efforts. He concludes with the remedy of consolidation, where with mergers and joint ventures, companies could co-operate and reduce their capital costs, and asks analysts and investors in auto companies to apply pressure for change. That’s very unusual to have a CEO to ask for analysts and activists for help. 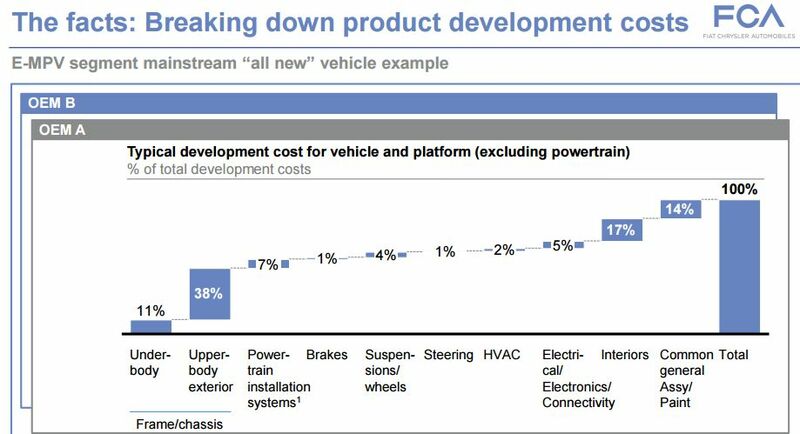 Below is my favorite slide which breaks down product development cost. 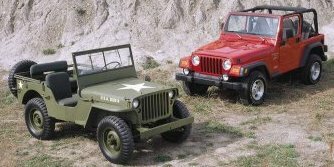 The most expensive is upper-body exterior with 38% of cost and the less expensive are brakes and steering with 1% of cost. Interior and assembly/paint is where most of the rest of the money goes. The market has overreacted to SNC’s corruption scandal. The scandal should fade in investors’ memory as soon as the settlement takes place. It’s a temporary problems. Even though SNC has rebounded from its low, it’s still a bargain. I believe there’s 24% upside potential. Plenty of cash, liquidity, high quality assets, and new major contracts could provided a lucrative windfall for SNC. 14th straight annual dividend increase. SNC just announced a major share buyback program. Despite the cloud that hangs over the company, it continues to win its fair share of meaningful projects. 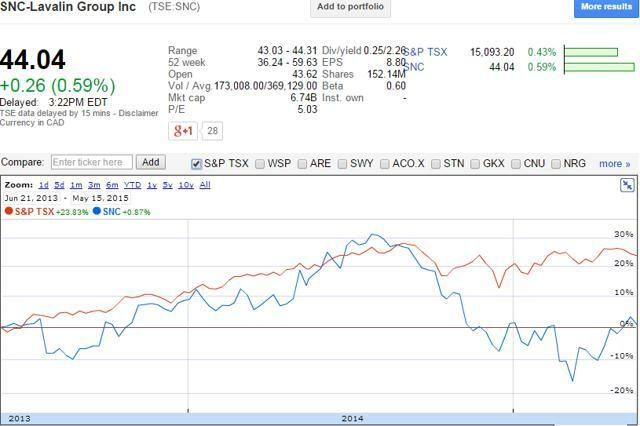 SNC is primarily traded on the Toronto Stock Exchange under the sticker SNC.to. I will be referring to the Canadian symbol for the article. Note: Dollar amounts are in Canadian $ unless mentioned otherwise. USD-CAD 1.2205 Price of 1 USD in CAD as of May 21, 2015. On June 24, 2013 I made the case for investing in SNC-Lavalin. At the time of the publication SNC’s share price traded around $44 with a $6.6 billion market cap. Today SNC’s share price hovers around the same level, not exactly a record to brag about. If you have been following the company in the last couple years, it’s has been a volatile roller coaster ride. 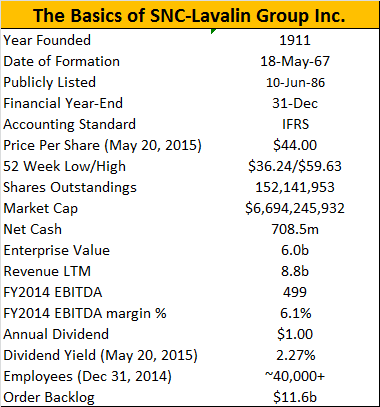 In my original thesis, my valuation indicated that the implied intrinsic value of SNC-Lavalin is approximately $8.8 billion or $58 per share for a 31% gain at the time. The good news is that my valuation target was hit a year later, when the shares hit $57.49 a share. The bad news is that the shares started plunging immediately to hit a rock bottom of $36.69 in March 2015. The shares have recovered some lost ground since. Since my first publication on SNC I have added to my position. It’s been a while and a lot has happened. I owe you an update. Since original publication, $1 invested on the S&P TSX gained 23.83% compared to 0.87% if that dollar was invested on SNC. Below is a graph of the 5-year performance. You can see for the 5-year performance chart above that before the corruption scandal erupted SNC was outperforming the S&P TSX. The sudden sharp drop in February 2012 is related to a press release in February 2012 stating that $56 million in suspect payments were made related to win contracts. Along with its reputation, investors saw their former crown jewel’s share price plunge 20%, or roughly $1.5 billion in market capitalization evaporate right away. A lot has been written about the scandal, if you want to know more the Yorkton News website has a very good timeline of the events. 2) Will the company survive and move forward? 3) Is this a good investment? Between my thesis and this article the stock went up and down like a yo-yo. 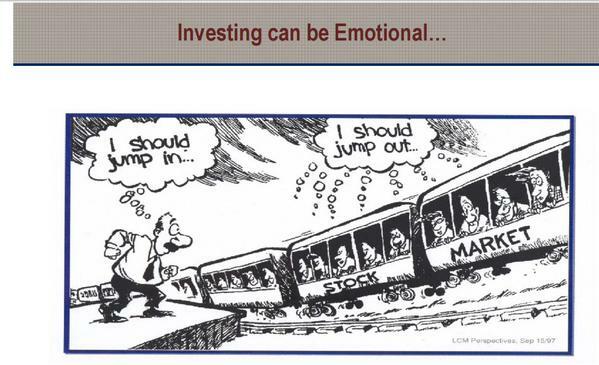 I would take an educated guess that investors’ sentiments took a similar ride. Following the eruption of the scandal SNC did a house cleanup by shaking up management, overhauling its ethics and business practices and by acquiring Kentz Corp. At the time the stock was going upward because it seems that the worst of the corruption scandal was behind, that SNC would pay a fine and settle, and that the Kentz would be very accretive to SNC. Then following the acquisition of Kentz, SNC’s stock price started going south because the acquisition to expand into oil and gas services occurred just as crude prices were crumbling. The timing of the acquisition was terrible, June 2014, right before the oil crash. This took a toll on the stock. The other major event that threw SNC under the bus and its shares tumbling to $36.69 was the RCMP announcing it was laying charges stemming from the company’s business dealings in Libya. These kinds of charges in Canada are rare. If convicted, SNC-Lavalin could be banned from bidding on government contracts for 10 years under Ottawa’s so-called integrity framework. Will SNC Survive and Move Forward? Yes it will. The market didn’t expect the RCMP charges since it was lead to believe that a solution was in the work. In fact, a Swiss court found that SNC itself was a victim of reprehensible misdeeds, to the tune of $16 million and former employees are already facing charges. Only three Canadian companies have been convicted since 2013 under the Corruption of Foreign Public Officials Act. The allegations raised the possibility that SNC could reorganize its business as a way to deal with the fallout of criminal corruption and fraud charges. Robert Card’s first choice to resolve the matter is some form of “deferred prosecution” settlement, a system used in the United States to deal with companies accused of corruption. During SNC’s Q4 earnings call last week that Robert Card remained confident he can negotiate a U.S.-style deal with Canadian authorities. “That’s my day-and-night focus,” he said. The tide has improved somewhat recently with the Federal Government’s latest budget. SNC is set to benefit from Ottawa’s move to restructure its so-called integrity framework, which automatically imposes a 10-year debarment on companies convicted of bribery or corruption of public officials. The Conservative government said it will introduce a new integrity regime for procurements that is “consistent with best practices in Canada and abroad.” It will also purportedly ensure suppliers are given “due process and a whole-of-government perspective, which supports transparent competition and an ethical Canadian marketplace.” However it wasn’t immediately clear when the government plans to make the changes. The market seemed to have overreacted to the accusations since it doesn’t prevent SNC from bidding on public or private projects, which was confirmed when SNC won the contract for the new Champlain Bridge. The win surprised many investors many of whom had assumed the federal government would shy away from giving public work to a company facing charges of corruption and fraud. Winning the Champlain Bridge contract is a strong vote of confidence in SNC’s ability to secure government work. Plus, SNC has plenty of cash, liquidity, and high quality assets to weather the storm. The rest of the article will focus on the valuation of SNC and its investment merits. I finally did it, just like forty five thousands others, I made the pilgrimage to Omaha Nebraska to attend the Berkshire Hathaway’s (BRK) Annual General Meeting (AGM) headlined by the world’s richest person, Warren Buffett and his sidekick Charlie Munger (Bill Gates was there too in case of dispute). A rock fan goes to Woodstock, Muslims go to Mecca, and I guess investors have to go to Omaha at least once in their lifetime. By coincidence it happened to be the 50th anniversary of Buffett running BRK, so the meeting looks promising. Plus, the schedule is jam-packed with meetings, investment panels and conferences, events and even a 5k run. To sum it up, it’s a weekend mixed with business, education, networking, and entertainment. Attending the BRK AGM has been on my mind in the last couple years and circumstances such as Buffett and Munger’s age, 84 and 91 years old, made 2015 the year. How many more years can you squeeze out of them? For those readers who are not too familiar with the meeting, the main event of the AGM is Buffett and Munger taking questions from shareholders for about six hours. The two of them together is really entertaining. It’s an enigma to me on how you can pepper two guys over 80 years old with questions for hours without having anyone verifying if they are still breathing. Is it the diet? Buffett is known for drinking five Coca-Colas a day, about the same amount of I consumed in the last ten years. Aside to listening to 175 years of combined wisdom and experience, there’s a lot more to the trip in Omaha than meetings. It was also an occasion for me to reconnect with some friends from the industry, make new friends, get investing ideas, and more importantly acquire knowledge to become a better investor. It’s a hobby of mine to pick the brain of smarter people than me (I’ve met two and they’re pretty old). The AGM has been growing exponentially in the last couple years. An estimated record 45,000 people attended the AGM, that’s five thousand more than in 2014. The 50th anniversary festivities might have played a role in the spike. Off the top of my head, I don’t think it’s the largest AGM in the world, I believe that award goes to Wal-Mart with its 75,000 attendees. The BRK AGM attracts a diversified crowd. You didn’t have to be a serious investor to attend the meeting. There are people attending from every walk of life and corners of the world. 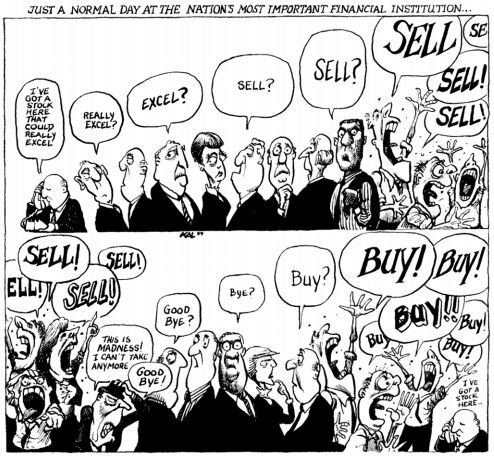 A lot of folks attending the meeting weren’t serious investors. There were a lot of students, foreigners, non-investors, and just folks that wanted to learn more about business. I met a guy/scientist who was researching a cure for cancer and was simply in Omaha to see what the whole thing was about. When you have that many people descending on a mid-size town like Omaha, airlines and hotels don’t mind jacking up the fares, as explained in the classic supply and demand theory from economics 101. A room downtown near the convention center can set you back $400 a night and $50 rooms become $150 for a couple of nights. The Hilton Hotel by the convention center is already fully booked for the 2016 AGM. I got around the jacked up airfare by flying out from Montreal. I’ve written in detail about it in an earlier post about my discovery when shopping for airfares. The price of my plane ticket was reasonable because apparently Montreal-Omaha is not a popular flying destination. On any other weekend of the year, it would have been cheaper to fly out of Plattsburgh or Burlington but for those few days it cost a lot more to fly out off. I wish I had taken a picture of the second leg of my flight, Minneapolis to Omaha, since most people on the flight were either reading the 2014 BRK annual letter or a Buffett book. It felt like people were learning the lyrics before attending a concert. To get around the over-charged hotel rooms, Buffett suggested Airbnb for a cheaper solution and he’s right, there are hundreds of listings with rooms under $100. If you are not located downtown Omaha, I suggest you rent a car to get around since cabbing everywhere can add up on your stay. Plus, depending on the time of the day taxis can be scarce. On the day of the AGM, if you don’t have your cab booked in advanced you are in for some trouble. The estimated wait time at 4am was between 10 min and 45 min. I wouldn’t want to know what it would have been like trying to book a cab at 6am. The Omaha airport has arrangements with the cab companies for a fixed-price to the hotel so tourists don’t get scammed getting off the plane. The fixed-price system actually comes out the same as the meter fare, I tested it. I guess it just prevents cab drivers from taking the new comer on the “long way”. I was quickly reminded of how nice and courteous Americans are (after you get through TSA). Getting into my first cab ride at the Omaha airport, a cop opened the back door of the cab for me, I had to double check that I wasn’t getting into a police cruiser. The whole time, Americans were going the extra mile to help you. Berkshire Hathaway (BRK-A, BRK-B) is more than 50 years old, but Warren Buffett’s partnership, an earlier form of hedge funds, formally took control of Berkshire Hathaway Inc. At the time the company was a textile manufacturer in steep decline. Warren Buffett actually said that buying Berkshire Hathaway was the biggest investment mistake he had ever made. Buffett says if he had bought Berkshire’s insurance business through his hedge fund, he and his investors would have captured all of the gains. He claims it cost him and his investors $100 billion. Buffett only bought BRK to make a quick buck and get out but it didn’t play out that way. The story on how he ended with the whole company is an interesting one and you should look it up. BRK might not be in the textile business anymore but it is now one of the largest businesses in the world. Its Class A shares, which have never split, trade for about ~$215,000 each, compared to $19 in 1965. The company’s market value is about $356 billion. Berkshire doesn’t broadcast their meeting over the Internet like Microsoft or Coca-Cola. Recording the BRK AGM is “strictly prohibited” according to the visitor’s guide. “Offenders are subject to equipment confiscation, meeting credential revocation, and dismissal from the meeting.” The ban also applies to journalist who would typically use hand-held digital recorders to verify quotes at such a large and important event. There is no legal obligation to make a transcript available or an audio recording of the event. But public companies are required by their corporate charters and state laws to hold meetings with shareholders once a year. If you have ever been to a traditional AGM, you would know that they are incredibly boring. Most meetings usually consist of electing directors and an overview of the financial results but it’s an opportunity for executives to communicate directly with shareholders. 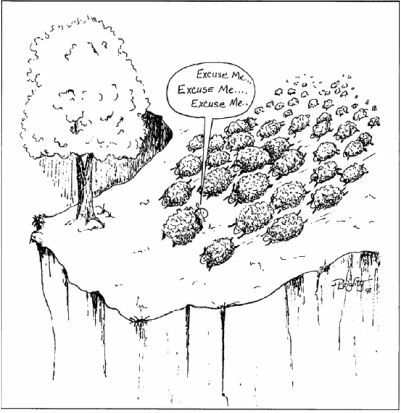 Usually the analyst conference call will give you more substance about the company than most AGMs. For that weekend, Omaha become the capital of value investing. There are the official activities associated with Berkshire Hathaway and there’s a bunch of non-BRK related organized events that target value investors. There’s plenty going on Friday, Saturday and Sunday. Here’s a list of some of the events: There’s the value investing panel at Creighton University, the Yellow BRKers gathering, the value investor conference at the University of Nebraska, the CFA Society of Nebraska Value Investing event, the Columbia School of Business had a dinner, the Omaha Asian Investor Dinner, the Young Presidents Organization panel on Saturday after the BRK AGM, the Omaha Quick Draw (stock pitch presentations starting at 9pm with a pause to broadcast the Mayweather-Pacquiao fight live), and Sunday morning there’s was the Markel breakfast right after the BRK 5k race. There are probably a couple events that I forgot to mention. $2 on site, $15 on Ebay for Ketchup and Mustard. Another point of interest is the massive exhibition featuring some of the companies under the BRK umbrella. This year the exhibition was opened for two days for the first time ever, Friday and Saturday, which is an excellent idea because you don’t have to split your time in two. BRK has over200 wholly owned subsidiaries(Dairy Queen, Geico, Heinz, Brooks, Fruit of the Loom, See’s Candies) plus a portfolio of publicly traded companies (Coca-Cola, American Express, Wells-Fargo, IBM, BK-Tim Hortons etc…). Shareholders could test their wits against IBM’s supercomputer Watson, shop, eat or talk to CEOs. Burger King-Tim Hortons nor Kraft had a booth at the exhibition. It’s probably too early since the BK-Tim Horton deal closed in December and the Kraft deal was just recently announced. The only 3G deal company on display was Heinz which was selling a special edition of ketchup and mustard featuring Buffett and Munger for $2.s I just saw the same package sold out on Ebay for $15. Dairy Queen made their presence felt with $1 Dilly Bars and $2 Blizzards and a giant ice cream cake celebrating BRK 50th anniversary. All the money collected was for charity and just about everyone was walking around with one. Fruit of the Loom and Brooks probably had the busiest booth with super special shareholder discount on their products. I was surprised to learn that Garanimals is part of the BRK family, since my daughter has a bunch of their products. That’s called an Encyclopedia. That’s the precursor to Wikepedia. Yes they apparently still sell them. They aren’t responsible for the great Q1 numbers. The bookstore was another popular attraction with a new updated recommended reading list by BRK. You also got the chance to talk to some of the authors. You also get the opportunity to talk to some of the CEOs and managers running any type of company imaginable. So you get to learn a lot about a lot different industry all in one place. If business is not your thing, the shopping is pretty good with discounted shareholder prices. I got in line at 4:30 am and there were hundreds of people in front of me but the odds that I get a decent seat looked well in 18,000 seats CenturyLink center. By 6am the chances that you get a seat were slim. But to accommodate everyone there were TV screens all over the building and the Hilton Hotel next door has a giant Ballroom where you can view the meeting. I could have sold my spot in line for hundreds of dollar. I know that for a fact because there were people in front me getting paid $200 to wait in line. If you wait a bit you will eventually get a seat on the floor because there’s a lot of movement during the Q&A (people leave to go shopping or something). The doors opened at 7am and no matter how civilized you would think BRK shareholders are, when the gates open at 7am the law of the jungle takes over. For a couple minutes its pandemonium and people are sprinting for the best seat. You really need to hustle your way to get a seat. You know it’s a unique AGM when people are sprinting for seats. There’s plenty of videos to entertain yourself on Youtube of the herd running. People seem that have forgotten that the actual race was the next day. BRK has warned that they wouldn’t tolerate excessive seat saving the morning of the meeting after receiving a lot of complaints in the past but I didn’t see security enforcing it. At 830 am the AGM kicked off with a very hilarious company movie that included a news clip on Berkshire’s meeting from 25 years ago. In the clip, the newscaster said anyone can be an investor in Buffett’s company Berkshire, but it would cost you as much as $7,000, which got a laugh. The stock now trades at $215,000. The one hour movie is a mix of ads for Berkshire businesses and comedic sketches featuring some A-list Hollywood stars such as Dustin Hoffman, Arnold Schwarzenegger, and Jamie Lee Curtis. The movie closer was Warren Buffett getting ready to fight Floyd Mayweather. I would watch it again but there doesn’t seem to be a copy on Internet. Yep, I can’t that something like that isn’t on Youtube or somewhere, and more impressively there doesn’t seem to be any leaked or cam version of it (or any prior years as of matter of fact). The Q&A with Buffett and Munger was the primary reason why investors make the trek to Omaha. The questions are not scripted. Buffett and Munger don’t know what the questions will be but there’s a general idea of what to expect. Journalists and shareholders were allowed to ask questions. If a shareholder wanted to ask a question at the podium, they had to sign up before 8am and their name would be picked out of a hat. Or you could submit by email your questions to the journalists. The opening question, from Carol Loomis, was a tough one about the lending controversy surround Clayton Homes and 3G Capital. You can read about the Clayton controversy on the Seattle Times here. Even though the question wasn’t staged it was obviously expected and Buffett and Munger were prepared with tables and numbers to defend themselves. I’m not going to repeat everything that was said at the meeting, there’s plenty of copy of the notes available online. I have more own notes if you are interested to discuss it. Some of the best highlights are the chemistry and the back and forth between Munger and Buffett. In general, a lot of questions were on the principles, values, and the unique culture at Berkshire Hathaway. A lot of the answers Buffett and Munger responded too are what you would hear on a TV interview. Except the major difference is that you get a long thoughtful detailed answer instead of the 1 minute clip seeking a buzz quote. There’s nothing you can ask that wasn’t asked. A lot of the answers are what Munger and Buffett have been preaching for a very long time. You shouldn’t expect any surprises. Their line of thinking and philosophy didn’t change overnight. They are consistent and disciplined in their approach which resonates throughout the company and in its results. I didn’t take that pic. On Sunday, following the 5k race, I attended the Markel Corp (MKL) breakfast. Even though they held their official AGM the week after, they still distributed annual reports and had the feel of a real AGM. It’s a good way for MKL to talk to their shareholder base since they have a similar profile than BRK. Markel is often dubbed as mini Berkshire because of its similar structure, financial holdings, and management’s long-term approach. The meeting was much smaller in size it was probably what the BRK meeting looked like a long time ago. The MKL lunch was a more traditional meeting than the BRK one. At the BRK one, even though Buffett and Munger took questions for 6 hours, they are not accessible for obviously reasons (security, giant crowd etc…). At the Markel meeting, there was a nice back and forth between management and the crowd and they stayed after the meeting to discuss with the shareholders. I’m glad that I finally made the trip. It was definitely worth it. I accomplished what I wanted to do and I ended up with good memories. I don’t rule out going back in the future. The BRK AGM has a fervor approaching the evangelical. I believe that there’s a Buffett cult inside the shareholder base. Some folks are just fanatical about everything Buffett. I admire Warren and I see him as a teacher. But I don’t agree with everything he says or does. He happens to be very contradictory on many things he said. There’s an incredible wide gap between Warren as perceived and the Warren who exists. Warren Buffet is painted as this warm and fuzzy grandfather who pinches babies’ cheeks. If you follow his actions and investments; he’s not exactly that holy figure. By the way, Warren Buffett has two neighbors selling their houses if anyone is interested. One seller is asking 10 Class A shares ($2.15 million) and the 2nd seller is fine with cash. The market value of the house is $900,000, but you are paying a premium to be Warren’s neighbor. Buffett’s house, I apparently missed him by 5 minute. He just drove out in his Cadillac to go to work. That guy will take cash. U.S. and Iran are long-time enemies. They often publicly refer to each other as “the devil” or a familiar word to that. But both devils, U.S. and Iran, are “working together” to defeat a more eviler devil: ISIS. The U.S. support the removal of Syria’s Bashar al-Assad by arming moderate Syrian rebels. Bashal al-Assad is apparently evil too but the Iranian fully support that devil. The most evil devil, ISIS, just like the U.S., also wants to remove Syria’s Bashar al-Assad. This is where the U.S. and ISIS’s interest are oddly aligned. But south of the Syrian border, you have Iraq where the U.S. and ISIS are fighting each other. The definition of a moderate Syrian rebel is blurry. A lot of “moderate” rebels have linked to ISIS, Al-Qaeda, and other terrorist groups. The moderate rebels are also considered weaker than the other extremist group. The U.S. is backing the “moderate” rebels with weapon and training, but it’s not clear how does the weapons are not ending up in ISIS’s hands to fight the U.S. with it. Is the U.S. training and arming their enemies (or future)? Iran calls the moderate rebels terrorists. Iraq is split among sectarian lines, Shia with the backing on Iran, Sunnis with the backing of ISIS, and the Kurds. The U.S. is unsuccessfully juggling with all of them. After the 2003 Iraq invasion and the removal of Saddam Hussein, the U.S. backed Nouri Maliki, a Shia muslim leader (an Iranian stooge) that isolated the Sunnis of power which resulted in the rapid rise of ISIS in Iraq demanding of representation. As a result the U.S.’s loss of influence is Iran’s gain. Yemen is in a civil war. Saudi Arabia, with the backing of the U.S., are bombing the Iran’s backed Shiites, the Houthi rebel, after over throwing the Yemen government. This benefits the Sunni extremist group such as Al-Qaeda and ISIS in Yemen, also common enemies of Saudi Arabia. ISIS wants to overthrow the monarchy to established an Islamic caliphate across the Middle East and North Africa. Actually Yemen is more a pawn in this chess game. The country is used as a proxy by all the bigger power to test out their influence. Right now the pawns at the front line have turned into a gang war. The Iran backed rebels are called terrorists by the U.S. and Saudi Arabia. In Yemen, the Houthi rebel are enemy of the southern separatists of the Hirak movement and al-Qaida fighters. The later are targeted by U.S. drones. There are also a bunch of restless tribes to add to the volatile mix. Saudi Arabia and Iran are at each other’s throat. The Iranian has increased their influence in the Gulf, where Saudi Arabia is the the natural king of the jungle. So they are backing with money and weapons different groups across the region. Israel is surrounded by neighbors where their only wish is to erase it off the map. Israel can count on the U.S. as their main “friend/ally”, which pissed everybody off in the region. On the top of all this, U.S. and Iran are working on a nuclear deal. Israel, Saudi Arabia, and pretty much everybody else in the world doesn’t want Iran to have nukes (except maybe the North-Koreans and Russian). Somehow this will result in peace in the region. Photo credits are not mine. I don’t know who the original author is. 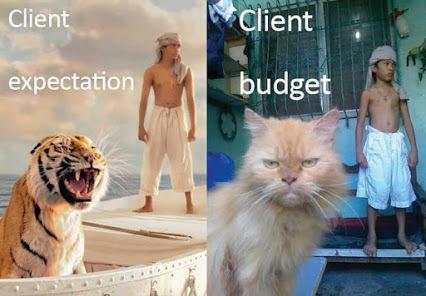 It was found on LinkedIn by my brother. Exactly a year ago on this day I published a research report on Seeking Alpha, Platform Specialty Products – The Next Great Serial Acquirer on Platform Specialty Products (PAH). I think you need to login to have access to the full article, you can read a preview here. Bill Ackman from Pershing Square Capital Management just did a presentation on PAH. This is the official list of books recommended by BRK at the 2015 AGM. It’s a pretty good list. 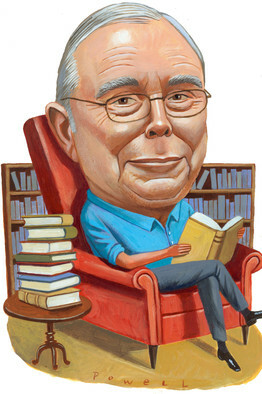 You will find some familiar names such as the The Intelligent Investor and new ones like Berkshire Beyond Buffett: The Enduring Value of Value by well-known author Lawrence Cunningham. If you want to become a better investor, reading books from the list is a pretty good place to start.